With Christmas on the way, six-year-old Faith Reynolds is determined to get the very best present ever for her widowed mother—a new husband—but one that would be a nice daddy, too. Though Faith’s mother, Jenny, is not a big believer in Santa, a chance meeting with handsome high school teacher Nick St. Clair might just change everything. Nick portrays Father Christmas at the yearly holiday celebration in nearby Jacksonville. When he hears Faith’s heartfelt Christmas wish, he makes one of his own—and Santa Nick gets what he wants! But Jenny’s heart has been betrayed by her deceased husband, and she’s not sure she can ever trust again. 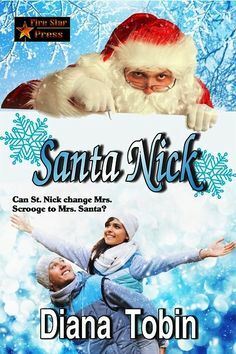 Can Nick bring the joy of Christmas and a loving relationship into Jenny’s life? Making Jenny and little Faith his own family could be the Christmas magic they all need!